When Calls The Heart is back, and it will return with the rest of season five in February. 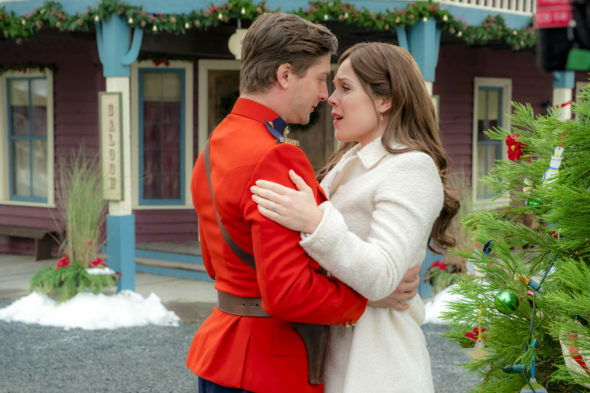 When Calls The Heart The Wishing Tree aired on Christmas night, and it saw the reunion of Jack and Elizabeth. Will Jack remain in Hope Valley when the season returns? Hallmark Channel revealed more about the return of this series in a press release. Check that out below. The series will return on February 18. Are you excited to see more of When Calls The Heart in February? Tell us what you think. Wonderful news – cannot wait and will watch every episode ! ! Because the Olympics is airing will we be able to see missed episodes? That’s great news ! I’m anxiously waiting for the new season!!! I love this show so much! It reminds me of a time when my great-grandmother and my grandmother were living , and it surely was a time where people cared about one another. It is refreshing and exhilarating to me to know that there are people who still have good hearts in this world, and that family really matters God family and our friends and Neighbors. I wish the world was still like this. Can’t wait! Love the show! Can’t wait!! This is one of my favorite shows on TV!! I am glad that we can also view clean entertainment. You always provide us with suspense and wonderful acting. Keep up the good work! Yes! We are excited for the new 2018 season of When Calls the Heart! Thank you so much for offering family oriented entertainment for those of us who love “clean” TV programming ! The way this is phrased, with Elizabeth awaiting Jack’s return makes it even more clear to me that Jack will not be back permanently, but they do want to make sure people to tune in and therefore are not going to make statements about that yet. I love the show Best show on TV!!!!! We need more When calls the Heart. It ‘s better than Heartland Canada’s top running show. We need more shows like this one. Please don’t cancel it! I can’t get enough of it!!!! Love the show. The respect among the characters is more of what we need to show today. Everyone has problems. Some more, some less. The truth of each individuals is in how you approach, handle and solve your problems. I love this show. There is not a lot good shows on right now, and this is one of my fwvorites. Looking toward to season5. I just wish it was more episodes. Cannot wait! Love this show! It was wonderful to see Jack again, and am looking forward to his permanent return to Hope Valley.